Rotate the ring nut counterclockwise to remove it. Remove the cigarette lighter assy from the instrument panel ash receptacle assy. Properly position the socket at the cutout of the instrument panel ash receptacle assy and insert them. 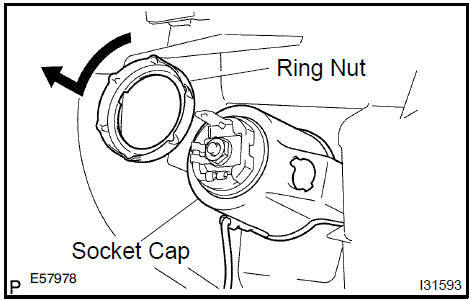 Rotate the ring nut clockwise from the backside.